This site features a wide variety of resources for study and liturgy based on the 3-year Revised Common Lectionary* cycle. The purpose of this website is to provide links to resources for study, reflection and liturgy which correspond to the RCL readings you may be using for study, teaching & preaching. At The Text This Week, you will find conveniently-organized links to a treasure of resources for study, reflection and liturgy pertaining to each week's lectionary texts - both as individual pericopes and as a group of readings within their liturgical setting -- a virtual study desk of sorts, laid out for your weekly exegetical work. 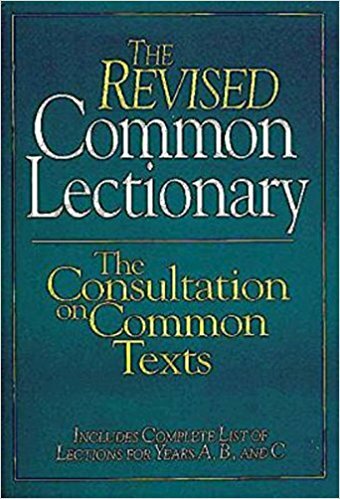 The Consultation on Common Texts (CCT) is an ecumenical consultation of liturgical scholars and denominational representatives from the United States and Canada who produce liturgical texts and curate a three-year lectionary for common use by Christian churches worldwide.